Hi lovelies! 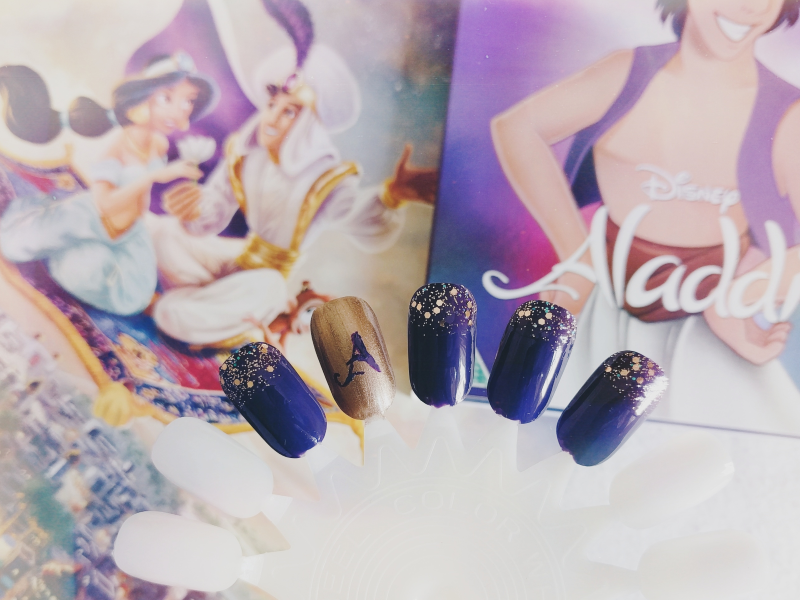 It's time for the next part in Sam from The Belle Jar and I's monthly Disney nail art collab, and this month the film is Aladdin! Sam has tackled Jasmine-themed nails this month whilst I tried my best with the man himself, Aladdin! It took me quite a few attempts to come up with this design as none of the previous ones I tried seemed to be working! In the end I decided to keep things simple by mainly using the two colours I most associate with Aladdin - purple and gold (Ciate's Talent Scout and No 7's Hot To Trot). I then added some glitter to the tips of the purple nails to make them a little glitzier (Ciate's Party Shoes and an unnamed gold glitter polish from Studio London) and I then painted the 'A' from the Aladdin logo onto the ring finger. If I ever get the chance to go to the Aladdin musical that's currently showing in London at the moment then I think I'll definitely have to re-create these to wear there! Remember to check out Sam's Jasmine nails too. See you in May for our next installment! I love these. 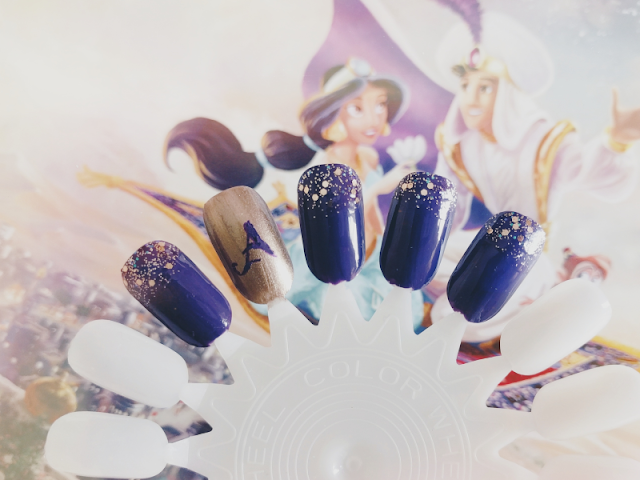 They are totally every day wearable and add a perfect pop of Disney to your every day look! :D You are so talented!